Here’s the Pampers Promo 2017. 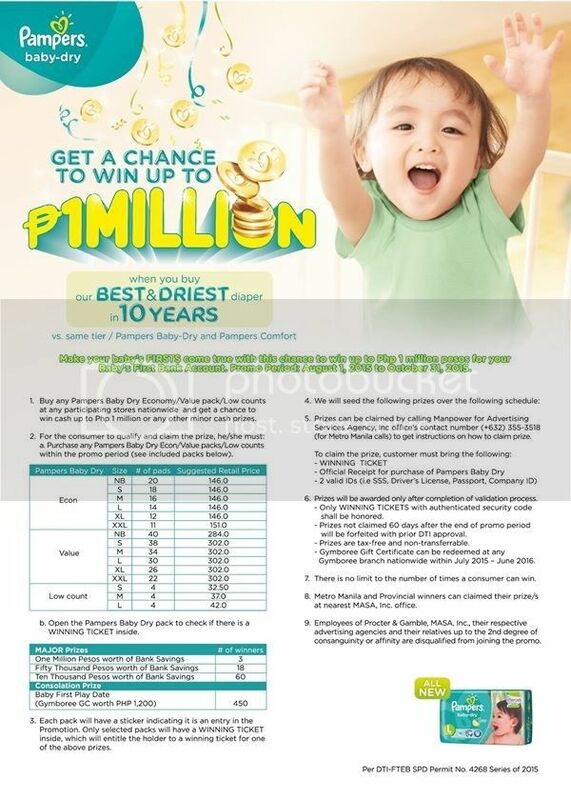 For a chance to win Php 1 million, just purchase any Pampers Baby Dry Econ/Value Packs/Low counts with the First Million promo wobbler for a chance to find a winning ticket inside! Promo Duration starts August 2017 until October 30, 2018 only.